The brand Silestone has become synonymous with high-end artificially created quartz countertops, and their reputation as high-value countertops is as good as that of granite countertops. While this article focuses on Silestone countertops, in order to help you put things into perspective we will often compare them with granite worktops. Other brands of quartz countertops are also available, however Silestone is the one that has managed to become almost synonym with the term “quartz countertops” and possibly the most popular one. But What Is Silestone, Exactly? Silestone is a leading manufacturer of engineered quartz surfaces, and their flagship product the engineered quartz surface of the same name. It was invented 25 years ago in Spain, but right now it’s available worldwide in over 60 different colours, and it has become one of the leading choices for luxury kitchens and bathrooms worldwide. The material itself is largely pulverised quartz (up to 94%) combined with a polyester resin to bind it together and give it its unique anti-bacterial properties. As it’s made of quartz, it enjoys the durability, acid and thermal resistance of this natural stone, but unlike granite it is not quarried but manufactured. It is also extremely hard, and non-porous. Silestone is used largely for flooring and kitchen and bathroom surfaces, practically anywhere you would use granite, and it has become a popular alternative to natural stone. How Does Silestone Look Like? At the time of writing, Silestone worktops come in over 80 different colours and 3 textures (polished, matt or rough) which leaves you with 240 different possibilities for your kitchen remodelling project. While the look is clearly artificial for anybody familiar with granite worktops, the sheer amount of options means you can confidently buy the best design for your kitchen. Unlike granite, Silestone comes in patterns that match the samples, so you can be assured that your countertop will look exactly like the one in the shop. If you are looking for a statement countertop that is totally different from any other, granite is your best option. Each slab of granite is unique, but at the same time, it’s unpredictable. With Silestone, you know what you will get delivered the moment you order the installation, and you aren’t limited to the colours provided by Mother Nature. Just take a look at this gorgeous red Silestone worktops. This of this decision as choosing a handmade, unique item vs a manufactured one of similar quality and functionality. One of the most common reasons why people choose quartz countertops over granite ones is the maintenance. After all, you won’t be spending a lot of money to get this kind of kitchen surface installed, just to let it be damaged by use and time! Silestone manufacturers non-porous counters that resist staining and spills, and that places them in a great position when comparing Silestone and granite worktops. Silestone is also treated to be bacteriostatic, which means bacteria won’t be able to grow and reproduce on it: incredibly important for a kitchen or any food preparing surface! Granite is a naturally porous stone, which needs to be sealed once a year in order to keep bacteria and dirt out, prevent staining and make it usable as a working surface in the kitchen. So anybody who is worried about the extra expense or the potential accumulation of bacteria in the kitchen would, without a doubt, choose Silestone worktops instead of granite. Specialized Formula - Made specifically for daily cleaning and polishing natural stone surfaces. Steak-Free - Safely removes grease, grime, water marks and stains without leaving behind streaks. Streak-Free - Safely shines & beautifies natural stone surfaces without leaving behind streaks. How Durable Are Silestone Countertops? In terms of durability, Silestone is happy to put their money where their mouth is. 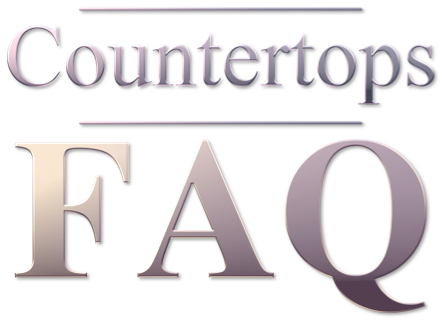 Their 25 years transferable warranty will protect your countertops from cracks and damage, provided they are not caused by you. So if your worktop cracks after a badly installed cabinet falls on it, you are out of luck. Otherwise, you have a guaranteed investment that you can pass along to a buyer if you sell your home. Other quartz countertops brands such as Cambria also offer a limited lifetime warranty. In terms of relative hardness, quartz and granite are almost equally hard. However, unless you buy high quality granite you risk cracks due to internal faults that weren’t visible on the surface. Granite is a natural stone, so always make sure to negotiate a warranty for this kind of defects from your manufacturer. And never, ever, try to install stone countertops yourself, as uneven distribution of weight due to a faulty installation will cause cracks sooner or later. Should I Get Granite Or Silestone Worktops? Silestone is a more modern material that is engineered to be low maintenance and designed for use in areas with heavy use, humidity and hygiene requirements. Granite, on the other hand, is a natural stone and has value in its uniqueness and traditional value. And other brands such as Cambria or Caesarstone also offer high quality engineered quartz surfaces, even if they are a bit less well known. You can check this article for a more in-depth comparison of granite vs quartz worktops, but generally speaking it is going to be down to your personal taste and your budget. Neither of these materials are cheap, but with Silestone is often easier to find a worktop that matches your design and your pocket, as it’s easier to compare providers of the same exact pattern and texture. However, with granite your options are more limited to whatever is available in your area on the particular style you are considering.